I thought it was about time to dust off my blog. I am spiralling my two grade 10 academic classes this semester (I also have a section of grade 12 Advanced Functions). It is really nice to have last year's plan and homework sets to work from and tweak. 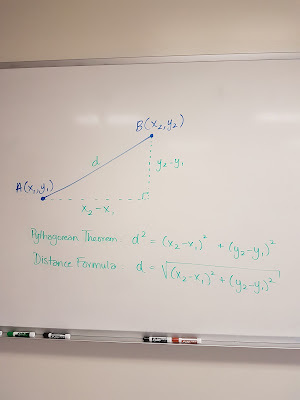 I recently saw what Nathan Kraft did to a cool Desmos Activity Builder activity created by Andrew Stadel and knew that I wanted to adapt it for my class. Their activity focused on horizontal and vertical distances between two points. I needed to include the distance between any two points. Due to the size of the activity (so many images!) 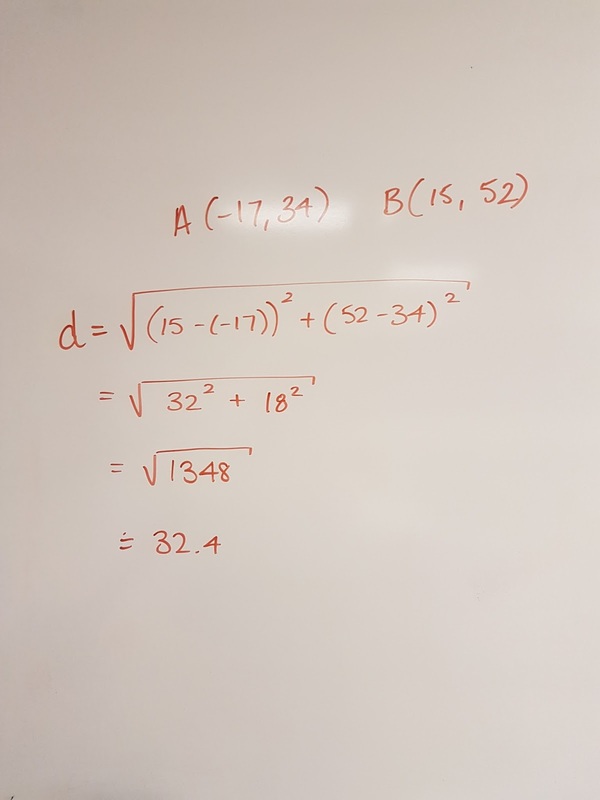 Desmos struggled to keep up with my changes and I ended up having to hard code the points I used rather than having them referenced with variables. Using variables would have made it easy to move the points, but I will have to save that for another time. I think I'm getting ahead of myself here though. I should back up for a minute and start at the beginning of today's class. We started with Dan Meyer's Taco Cart 3-Act found here. Next, they worked on big whiteboards in their table groups to determine whether Dan or Ben would get to the taco cart first. 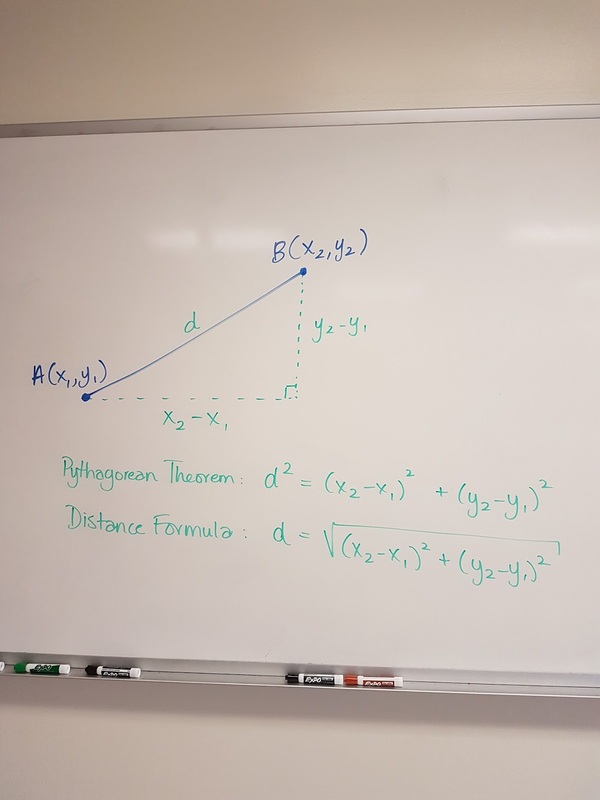 We talked a little about the Pythagorean theorem along the way. Then, I played the Act 3 video to confirm their answers (all groups said that Dan would arrive at the taco cart first). It was now time for the zombies! I used my Popsicle sticks to select random pairs and handed out Chromebooks. The link to the activity is here. 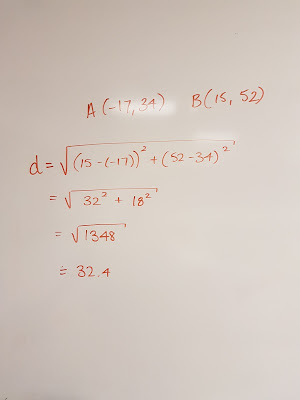 We consolidated to close the lesson and did one quick practice question. I like to learn; I like to teach; I love math. I spend my days surrounded by teenagers. Also mom to four, geek, foodie, dog person. Creator of WODB.ca website and @marybourassa on Twitter.